It does not support switching discrete graphics models. 45M2722, 45N5908,45M2721. Lenovo Thinkpad T410, T410I Series. Condition: One Piece New CPU Cooling Fan. Replace Part #. Compatible part numbers: 45M2721 45M2722 45N5908. For IBM Thinkpad T410 T410I Series. This is our SOP, for us to be certain and for record purposes. 1 x CPU Fan. We might require you to send us photo/s of the item received and also your original item so we can compare and conduct necessary actions. SNUG ALL HOLD DOWN SCREWS ON HEATSINK BEFORE FINAL TIGHTENING, THIS WILL PREVENT WARPING OF HEATSINK. Never order parts by saying “this item states it is for the IBM xxxxx and I have an IBMxxxxx” When ever possible I state the model and sub model #. 45M2721 45M2722 45N5908. 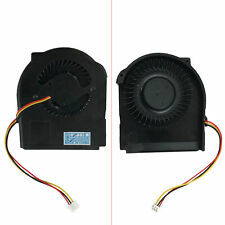 New Notebook CPU Cooling Fan for Lenovo Thinkpad T410 T410I Series. Lenovo Thinkpad T410 T410I Series. SKU#: FAN IBM 25. 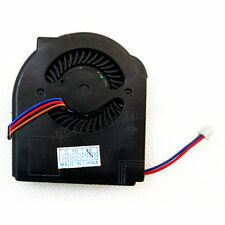 Condition: One piece New Laptop Cooling Fan for Lenovo Laptop. 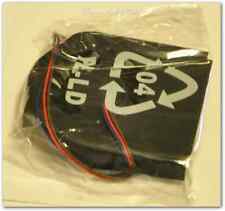 New IBM Lenovo Thinkpad T410 T410i Laptop Cpu Fan 45M2721 45M2722. IMPORTANT: Only be used in integrated graphics machine ( the machine does not support the graphics card ). 1:Puerto Rico. The military region. remote locations. Nor can the T410 and T410I machine. NEW ORIGINAL LENOVO CPU COOLING FAN ASSEMBLY. T410S T410Si 45M2680 45M2681. Lenovo ThinkPad. Integrated Graphics CPU Fan with HeatSink. 1:(It does not support switching discrete graphics models). 2:（It does not support T410 T410I）. Compatible with: 45N5685 45M2721 04w6595. 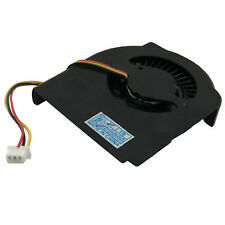 New CPU Cooling Fan for Thinkpad T410. Laptop Keyboard. 1 x Fan & Heatsink. Laptop Fan. Laptop Hard Drive Cover Caddy. new arrival. Power connection: 3 pins. IBM Lenovo Thinkpad T410S T410Si CPU Fan & Heatsink UMA. IMPORTANT: Only be used in integrated graphics machine ( the machine does not support the graphics card ). 1:Puerto Rico. The military region. T410S T410Si Integrated Graphics 45M2680 CPU Fan with HeatSink. Lenovo ThinkPad. (Does not support switching discrete graphics models). （It does not support T410 T410I）. We believe communication will fix problems. MPN 45M2680. Make sure the fan runs smoothly and with little noise Quiet running fan Pass. Material Copper. Key Functions Test Expected Result Result. Tested for key functions, R2/Ready for Resale. Testing Procedure. 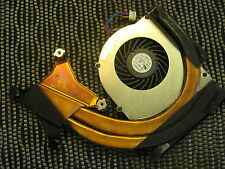 NEW in SEALED IBM Lenovo 45M2723 ThinkPad T410 T410i CPU Cooling Fan & Heatsink as pictured. no other accessories included. IBM Lenovo T410S T410Si CPU Heatsink Fan MCF-228PAM05 45M2678 UMA. 1:Puerto Rico. The military region. remote locations. 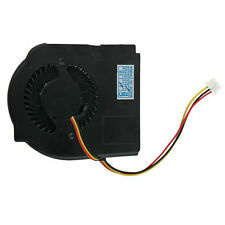 T410S T410Si 45M2680 45M2681 Integrated Graphics CPU Fan with HeatSink. Lenovo ThinkPad. 1:(It does not support switching discrete graphics models). 2:（It does not support T410 T410I）. We believe communication will fix problems. MPN: 45M2722 45N5908. Compatible with: IBM Lenovo Thinkpad T410. 1 IBM Lenovo Thinkpad T410, T410i Laptop CPU Cooling Heatsink and Fan. IBM Lenovo Thinkpad T410i. Manufacturer: IBM. Also you will find all the parts that you may need for your computer, laptop from motherboards to power supplies. Lenovo Thinkpad T410 T410i Series. Duty Rate is vary subject to different countries' regulation. ▶Compatible Models. We will work on resolving your particular case ASAP. 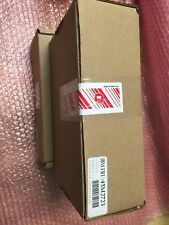 New open box Lenovo ThinkPad T410 Heatsink & Fan. We have small and large quantity lots available. MPN: 45M2678 45M2679. 1 IBM Lenovo Thinkpad T410S, T410SI Laptop Cooling Fan & Heatsink. IBM Lenovo Thinkpad T410SI. IBM Lenovo Thinkpad T410S. Manufacturer: IBM. Also you will find all the parts that you may need for your computer, laptop from motherboards to power supplies. MPN: 45N5906 45M2724. Compatible with: IBM Lenovo Thinkpad T410. 1 IBM Lenovo Thinkpad T410, T410i Laptop CPU Cooling Heatsink and Fan. IBM Lenovo Thinkpad T410i. Manufacturer: IBM. Also you will find all the parts that you may need for your computer, laptop from motherboards to power supplies. MPN: 45N5907 45M2723. Compatible with: IBM Lenovo Thinkpad T410. 1 IBM Lenovo Thinkpad T410, T410i Laptop CPU Cooling Heatsink and Fan. IBM Lenovo Thinkpad T410i. Manufacturer: IBM. Also you will find all the parts that you may need for your computer, laptop from motherboards to power supplies. MPN: 45M2680. Model: ThinkPad T410. 1 Lenovo ThinkPad T410 CPU Cooling Fan And Heatsink. Type: CPU Cooling Fan And Heatsink. Form_Factor: Laptop. Also you will find all the parts that you may need for your computer, laptop from motherboards to power supplies. 45M2722, 45N5908,45M2721. Lenovo Thinkpad T410, T410I Series. Condition: Two Pieces New CPU Cooling Fan. We will work on resolving your particular case ASAP. Replace Part #. Pulled from a working unit. TESTED AND PULLED FROM WORKING LAPTOP.